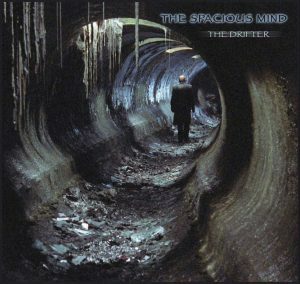 The Spacious Mind were formed back in the distant 1991 in Sweden and they introduced to us with their debut in the discography, the exquisite “Cosmic Minds At Play” released in 1993 through Garageland Records. Since then, they have released numerous CDs and CDRs and LPs, enough to establish them as one of the most important and leading Space-Psychedelic Rock Bands coming from Northern Europe! “The Drifter” is a collection of rare, live and unreleased tracks which was completed, edited and carefully re-mastered at Trail Records studio, in one conceptual album! (Trail Records, based in New York, is an exclusive Source of World Psychedelic Music, with a purpose to unite the most talented musicians and artists from all around the world to produce limited collectors edition CD albums). NOTE: Trail Records have edited / shortened tracks 3, 4 and 6 on here to fit the format of the disc. Track 1 and full version of track 3 were originally released on The Spacious Mind “Reality D Blipcrotch”. Track 2 originally released on The Spacious Mind “Garden Of A Well Fed Head”. Full version of track 4 originally released on “Various – Copenhagen Space Rock Festival 2002”. Track 5 and full version of 6 originally released on The Spacious Mind “Take That Weight Off Your Shoulders. Skellefteå 28/02/03”.